Add a touch of whimsy to bridal showers, weddings or any other event with Kate Aspen’s Team Time Favor Boxes. 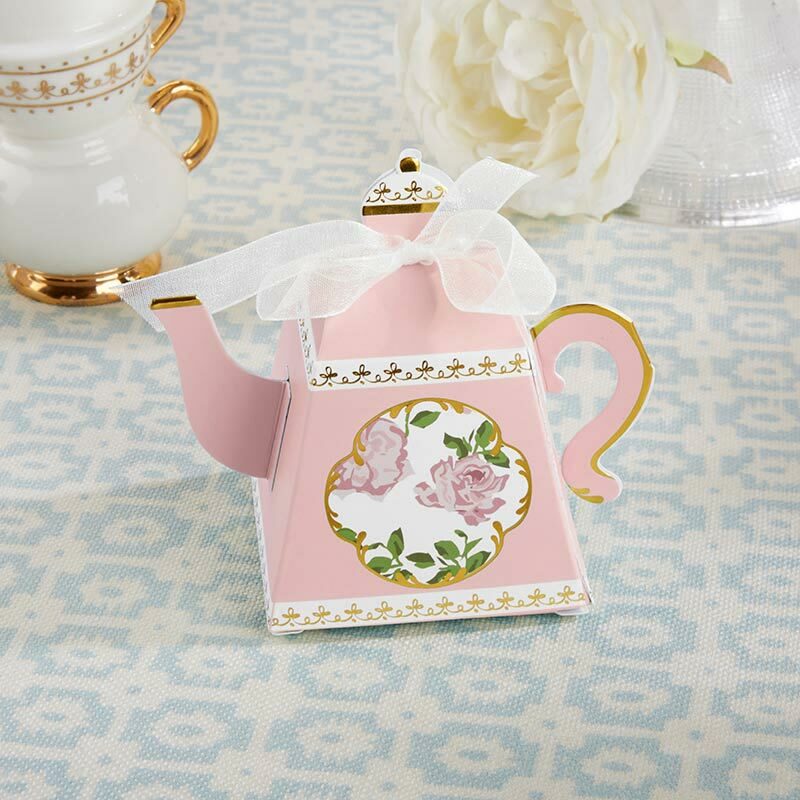 Adorned with a combination of delicate pink, vintage floral designs and gold foil details, these teapot favor boxes are perfect for candy and other small items. Each Kate Aspen Tea Time Favor Box is topped with a white ribbon to add feminine flair and available in sets of 24. 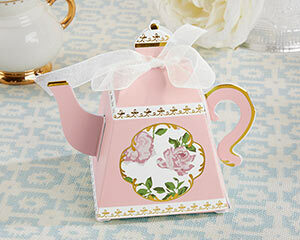 Pink teapot-shaped cardstock favor box with 3D designed handle and spout. Gold foil details combine with a delicate floral design, all topped with a white organza ribbon.